Do not get denied at the door on your Airbnb rental. The NO-GO LIST shows apartment buildings that do not allow vacation rentals. Chose a city from the list below the map and click on it or in the top menu under NO-GO Buildings. You can also copy the URL from the listing you are looking at on Airbnb (or sites alike). Paste it in the box below and click on “Search”. You will immediately see if the lisiting is in a building that does not allow vacation rentals. Click on your city below or to see a list of buildings that deny you access. ” I like your apartment and would like to rent it. Can you please confirm that the apartment is not in a building that is on the NO-GO list in Miami? The list is here: http://www.airbaware.com/no-go-buildings-miami/ “. If the building is not on the list, you are good. If it is, you should book another place. Www.airbaware.com is run as an independent website. Www.airbaware.com is not sponsored by any company related to the hospitality industry in general or the hotel industry in specific or any other industry or branch thereof. Www.airbaware.com does not represent any special interest or organization. www.airbaware.com is owned and operated by STR Monitor™, LLC and all clients at STR Monitor™, LLC have the option of being listed on www.airbaware.com as complimentary service to the service they are receiving at STR Monitor™, LLC. 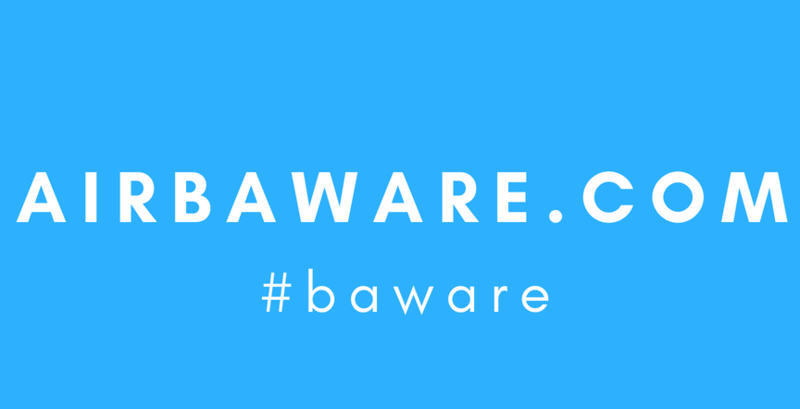 www.airbaware.com has no affiliation to Airbnb, VRBO, Homeaway or any vacation or short term rental company or web site.